As Thanksgiving approaches, like many of you, I take a few moments to consider all of the blessings in my life. Of course these include my new husband, my family, my children and adorable grandchildren, my travel writing career and those friends with whom I’ve shared so many life experiences. If you have friends who have been with you through thick and think sharing tears and laughter, I’m sure you know what I mean. One of the ways I celebrate those friendships is with girlfriend getaways. And, in my opinion, there’s no better time of year for those getaways than autumn. 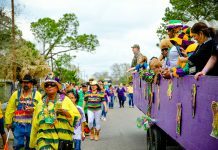 With the crispness in the air, brilliant blue in the sky and the fiery colors of the fall foliage as the backdrop, these are some of my favorite girlfriend getaways. Let’s face it, if you’re girlfriend getaway leads you to the Deep South, there will be fried chicken, biscuits and gravy and probably some fried okra in your future. But never fear, you can walk all those delicious calories off with a stroll (or two) across the Walnut Street Bridge – the longest pedestrian bridge in the world. Erected in 1890 and standing 2,376 feet high, the Walnut Street Bridge connects the north shore of the Tennessee River to downtown Chattanooga. Time your stroll for sunset when the lights of the city begin to decorate the sky. Head up to the top of Lookout Mountain to Point Park for spectacular views of the Chattanooga Valley below. 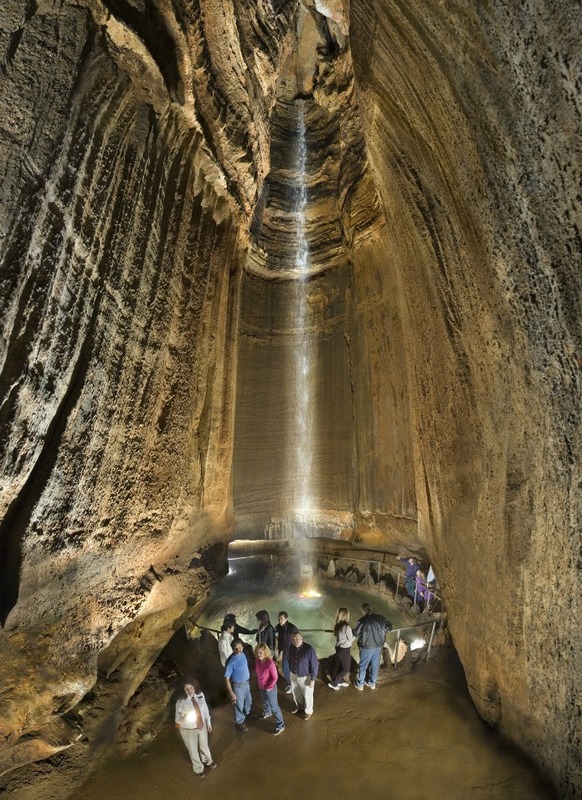 While you’re on the mountain, visit Ruby Falls. A guided tour will lead you through the cavern’s amazing rock formations and to the stunning 145-foot-tall underground waterfall. Stretching for one and a half city blocks on East Second Street, the Bluff View Art District is a historic downtown Chattanooga neighborhood. 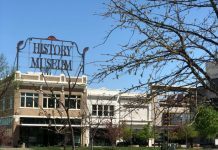 Set high above stone cliffs that afford spectacular views of the Tennessee River, the Walnut Street Bridge, and downtown Chattanooga, the area is full of art galleries, coffee shops, bed and breakfasts, courtyards and gardens. The summer crowds have disappeared along with the hot summer days. And that window between the heat of summer and the snowy winters is filled with the warm golden, red and orange hues of fall foliage, breezy days and fewer crowds. 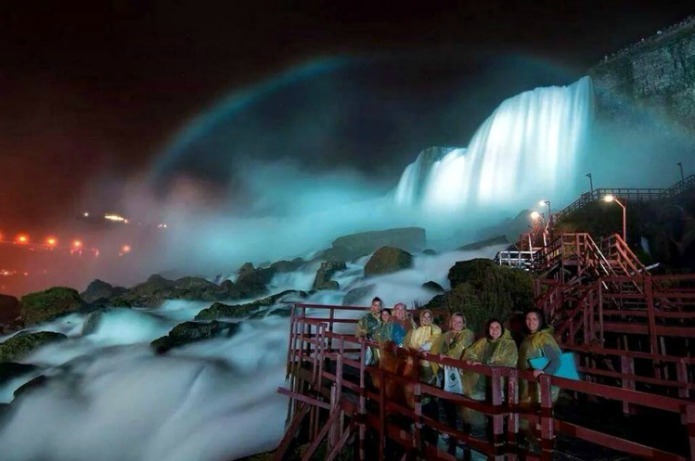 It’s the ideal time to experience Niagara Falls, New York. Plan on a bad hair day with a boat ride on the Maid of the Mist that takes you close enough to feel the water from the falls. For a seriously up close view, take a walk along the wooden platforms at Cave of the Winds where the thunderous water is just a few feet away. If you’re looking for some exercise, embrace nature with a challenging hike along the network of trails in the Niagara Gorge. 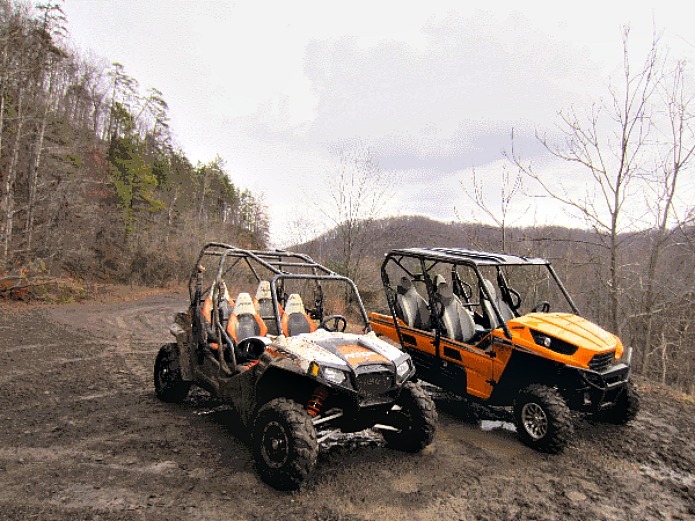 It may not be the most girly thing to suggest for a girlfriend getaway, but getting down and dirty on all-terrain vehicles along West Virginia’s Hatfield & McCoy Trails is a blast. One of the largest of its kind in the world, the Hatfield & McCoy Trails network consists of approximately 650 miles of adrenaline inducing off road trails through the mountains of Southern West Virginia. The trails wind through nine counties with some trailheads beginning in “ATV-friendly” towns. These towns have passed ordinances allowing ATV’s to be driven on the streets. Riders are welcome, muddy boots and all, to grab a bite to eat, shop or stay in the local inns and experience true ATV hospitality. Traditional all-terrain vehicles (ATVs) are available to rent along with the UTV – an ATV with four seats that much like a jeep. The UTVs are easier to handle allowing a complete novice to experience the thrill of the trail without having to learn how to balance an ATV. Women in particular enjoy these fun vehicles because they can ride with their friends, talk and scream together and sling more mud on their passengers. And a little mud-slinging is good for a girl’s soul! You’ve heard it before; Hershey, Pennsylvania is the sweetest place on earth. As home to Milton Hershey’s world renowned chocolate factory, Hershey is the place to go for chocolate lovers. But did you know you can celebrate chocolate without the additional calories at the Hotel Hershey’s Chocolate Spa? Indulge in a cocoa body wrap, cocoa massage, or even a cocoa facial. You’ll emerge from the peaceful serene spa facility refreshed and smelling sweet. 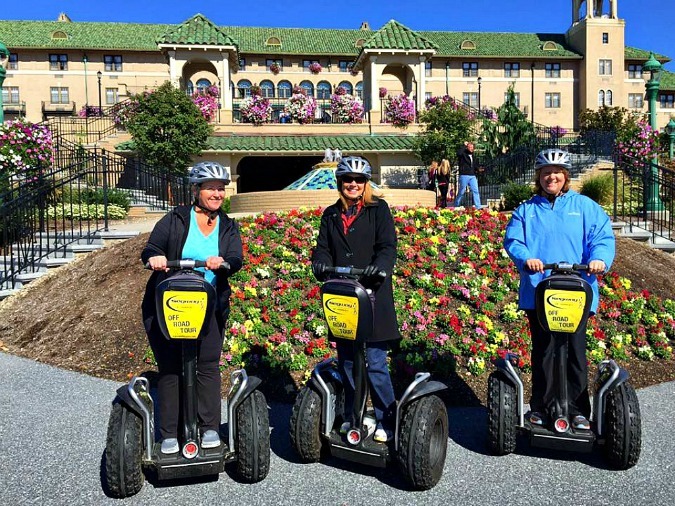 While you’re checking out the Hotel Hershey, sign up for an off-road Segway tour. You’ll get a quick lesson in balancing the Segway which has wider tires for off-roading, then you’ll tour the property before heading out into the colorful wooded trails on the resort property. The Segway tour concludes with time to ride up and down the hills on the resort property. I’ll never forget the look on my friends’ faces as they barreled down the hills on their Segways at top speed: pure joy. And for that moment I will be forever thankful. I hope you will take a few moments to reflect on the blessings in your life this holiday season. Happy Thanksgiving to you and yours. Next articleHappy November! Enjoy your Turkey Day!